Californian compliant low VOC emulsifiable ink cleaner. CPS Aquawash LS180 is a concentrated ink cleaner that is diluted 1:1 with water. Provides screen printers with a low VOC and low COD Aquawash for manual cleaning of textile, UV graphics and some solvent based industrial inks. Concentrates make ink cleaning a more sustainable process as less packaging is used and the carbon footprint is reduced as less product needs to be delivered to you. 1 litre of product gives you up to 4 litres of working product. Californian compliant (Rule 1711) low VOC emulsifiable ink cleaner. 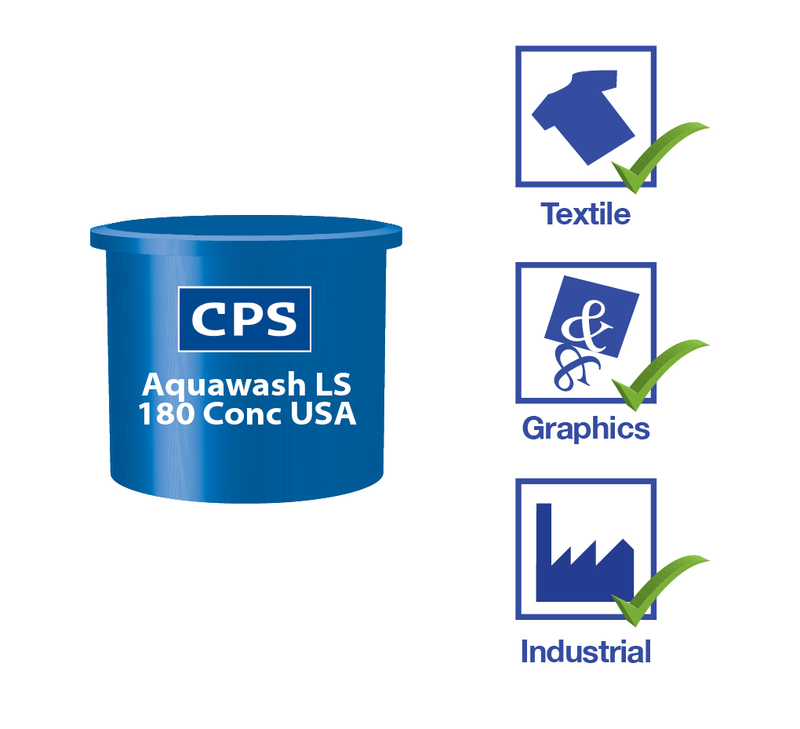 CPS Aquawash LS180 is a concentrated ink cleaner that is diluted 1:1 with water. Provides screen printers with a low VOC and low COD Aquawash for manual cleaning of textile, UV graphics and some solvent based industrial inks. Concentrates make ink cleaning a more sustainable process as less packaging is used and the carbon footprint is reduced as less product needs to be delivered to you. 1 litre of product gives you up to 2 litres of working product for cleaning. 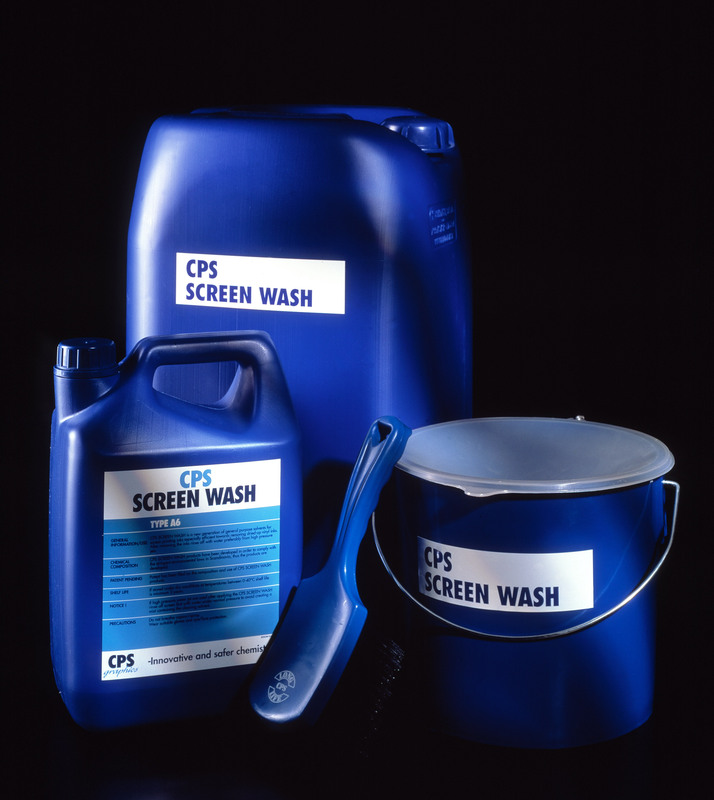 CPS Aquawash LS 180 Concentrate is used after printing when the screen is going to be reclaimed. For manual, use the product is designed to be applied with a Blue CPS Brush and rinsed with water, prior to removing the stencil. * Suitable for print shops requiring compliance with Rule 1711. Screen printers who require compliance with Rule 1711 <100Gram/Litre VOC regulations for the State of California. Available in 1 Litre, 5 Litre, 25 Litre and 210 Litre pack sizes*. Flashpoint: >212°F (>100°C) Sh CC (Setaflash closed cup).